XMT Construction Ltd. is the Lower Mainlands Premier sundeck and outdoor living space contractor. We specialize in Trex decking designs and installations. We are the only company in B.C. to offer custom curved Trex decks. Our passion for decks, ideas and years of experience, combined with your personal preferences, result in a winning design that invites you to enjoy your backyard retreat every day. 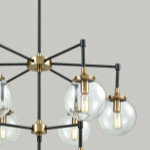 You’ll love our attention to detail, and the overall energy we bring to the entire process. We don't think you'll find that elsewhere. We’ll help you explore your many options in materials, railings, benches, planter boxes, and other deck accessories. A fire pit or hot tub will add to the fun. 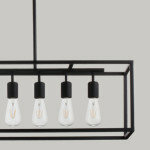 Outdoor lighting, barbecue or outdoor kitchen area, and spaces for entertaining make it even more special. With a pergola, privacy screen, or other unique feature, you’ll get more out of life in your own backyard. The design process begins as we explore how you intend to use your new deck. Then, working within the definitions of your personal style, we create a wonderful transition between your home and yard to give you an outdoor living space that's comfortable, functional and beautiful. Let us know what you're dreaming of. We can build any type of deck with attention to detail and quality workmanship. Not only will you be thrilled with the result, but you'll be equally impressed with the process. People who show up on time. Cleaning up after we're done. No pricing surprises, either. We'll always keep you informed throughout the project, letting you know exactly what's happening and what your options are. 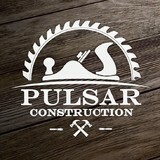 Pulsar Construction is a deck construction and deck remodeling contractor. We specialize in deck building, deck construction, deck replacement, deck expansion or remodeling, pool decks, raised & ground-level decks, wooden decking, composite decking, PVC decking or vinyl deck waterproofing. We are a design build company focused on outdoor living spaces. Our specialty is decks, and railings. We also use Fencing, patios, pergolas and pavilions in our designs to bring living space to the outdoors. 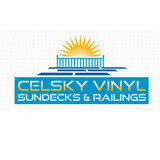 Celsky Vinyl Sundecks & Railings is a small, home based sundeck contracting company based out of Coquitlam. We just do decks because that's what we do best! Vinyl sundeck, wood deck renovations and repairs, aluminium railings and aluminium awnings, vinyl sundeck installation, sundeck carpentry. BBB accredited business, licensed and insured, Worksafe BC. With more than 15 years of sundeck renovation and vinyl decking installation experience, Celsky Decking & Railings Vancouver has provided exceptional service installing vinyl on thousands of multi-family, new construction and renovation projects in Vancouver and lower mainland. Strata, Property management, multi-family, single family sundeck and vinyl sundeck renovations, new home construction, single family dwellings and strata complexes and have the skilled workforce and experience to deal with any project. They also custom fabricate, supply and install picket or glass aluminium railing systems and aluminium sundeck awnings for your specific decking needs. 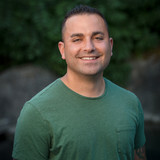 Celsky Decking is fully licensed insured and members in good standing with the Better Business Bureau serving Vancouver and the lower mainland markets. They welcome the opportunity to work with your Strata or property Management Company and hope to hear from any contractors or home owners looking for a quality vinyl installation, aluminium railing or awning installation. Nothing completes the look of a home as much as a beautifully landscaped yard. It provides a wonderful first impression, creates a pleasant outdoor space in which to play, relax and entertain and it definitely provides an additional curb appeal with a resulting increase in your property's value. We can help you build the outdoor space of your dreams. We will work closely with you to explore all considerations when designing an outdoor living space that will accommodate all your family's needs and dreams. We will develop an original concept from scratch or will work from your plans whether professionally created or sketched on a napkin. Our goal is provide you with a beautifully functioning outdoor paradise that suits you perfectly. Our design and installation professionals will help you to transform your yard from ordinary to extraordinary. We only use nursery-grown shrubs, trees and plants and maintain tight quality control on all products we install. Finally, we want you to know we can develop a landscape design for any budget. We can design projects to be installed in several phases to help you moderate your investment. Ask us about multi-phased designs and we'll be happy to help develop a comfortable plan for you. Hatfield Creations is a boutique, personalized contracting company specializing in custom woodworking projects. We offer services from outdoor transformations to interior renovations...our passion is working with wood. Custom decks, fences, Pergolas - anything you can imagine, we can build it! Give us a call and let us bring your next dream project to life. My values are simple; be honest, charge a fair price, ensure the customer is happy. Anyone can build you a deck, but I will also respect your home as if it were my own and communicate with you throughout the entire process, ensuring your needs are met. I know that customer satisfaction is my company’s greatest asset and will strive to exceed your expectations at every turn. At the end of the day I love what I do, and I bring that enjoyment to every job I’m a part of. Ridgewood Renovations is an established Victoria contractor, specializing in quality home improvements in the capital region since 2002. 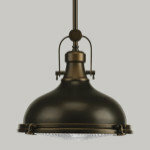 Licensed, insured professionals, working with you to create the perfect home. We will take your project, whatever size, from start to finish. Beginning with your ideas, we will do the drawings, apply for permits, and make sure that everything is done to meet building codes and safety standards. Every project is carefully supervised, and all work is guaranteed. We carry extensive liability insurance, and are WCB registered. At Ridgewood we pride ourselves on customer service and satisfaction. Recent projects are always available for you to view, and references supplied on request. Duradek, the original vinyl deck membrane has been installed on over 145 million of square feet of decks, balconies and roof decks all over North America. With over 40 years experience in decking, Duradek is your ICC approved deck waterproofing solution. Craftsmanship, thoughtful design, and functionality go into every outdoor structure we build at GreenCoast Carpentry. Whether it's a fence to keep critters in (or out), a deck to entertain and relax on, or a special retreat to escape to, we work closely with our clients every step of the way to ensure a finished product that meets and exceeds every expectation. Let us enhance the beauty of your home with a quality outdoor structure from GreenCoast Carpentry. New Steel Buildings in Greater Vancouver, BC Our pre-engineered building kits are designed for quick and easy installation. They come complete with everything you need to erect your steel buildings including lean to sheds, steel carports, detached garages or industrial metal building without any experience. 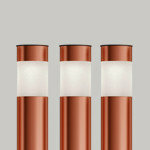 Uniquely engineered, Versatube products combine the strength of steel with patented SLIP-FIT connections designed to simplify assembly and reduce construction time. Easybuild pre-engineered building kits require no welding or concrete foundations. Our lean to sheds, diy garages and steel carports are easily relocated and come in many styles and colours. Sizes range from 10' wide x 20' long to 40' wide by any length required. All of our steel structures come with a 20 year warranty. Ace Vinyl Deck is a Victoria, BC company, specializing in low maintenance outdoor living. We can update your existing deck, or build a new one. Installing vinyl waterproofing for decks, and powder coated aluminum and glass railings. Westcoast Nature Stone specializes in decorative epoxy stone for decks, patios, garage floors, walkways and coverage over any cracked concrete. When the temperature heats up in Galiano Island, there’s nothing like having a deck or patio to kick back on and enjoy the warm weather. A functional deck design and patio layout is dependent on meeting your specific needs, so it's a space that needs to be created carefully. Luckily, there are professionals to handle your deck installation or patio design — hiring a Galiano Island, BC deck and patio builder is your surefire ticket to creating an outdoor oasis! What services do deck and patio builders in Galiano Island, BC provide? To help you choose the ideal style, configuration and materials for your deck or patio, your deck and patio contractor will survey your Galiano Island, BC lot and your home to come up with a design that complements your exterior as well as being structurally sound. He or she will recommend sizes, heights and construction materials that suit your lifestyle and climate, as well as explain the best stain or finish options. Additionally, deck and patio professionals can provide insight into additional components such as outdoor kitchens, patio covers, fire pits, outdoor lighting, arbors and more. Your deck and patio professional might work closely with another Galiano Island, BC lawn and landscape professional. Here are some related professionals and vendors to complement the work of decks, patios & outdoor enclosures: Landscape Architects & Landscape Designers, Garden & Landscape Supplies, Stone, Pavers & Concrete, Landscape Contractors, Building Supplies. Find a deck and patio builder in Galiano Island, BC on Houzz.